When it comes to a flood water emergency affecting your office and commercial carpet, Refresh Carpet Cleaning is number one in Sydney for commercial and residential carpets. We have the right equipment for big or small wet carpet repair jobs. Call the experts for all wet carpet or floor flooding emergencies. Call us today on 0488 963 678. If you been victim of flood water carpet damage in your office or commercial premises,we can help you get your business back on track. Call us for a 24 hour, 7 day response for all carpet and floor water emergencies across all Sydney suburbs. If you have water flooding from a office bathroom or an overflowing sink, we are happy to come and dry your business premises. Do you have commercial carpet water damage from a burst pipe or dishwasher? Roof leaks or hot water system leak? For relief from any flooding disaster call us now. Refresh Carpet Cleaning is a professional office carpet water restoration company in Sydney. We have the fastest drying system for all commercial premises flood damage. We have the most powerful carpet water extraction process for wet carpets and wet floors. We also disinfect office and commercial carpets and floors, making sure we treat and prevent wet carpet water damage marks and mould. Carpet water extraction by Refresh Carpet Restoration. We look after commercial and residential premises - call the professionals on 0488 963 678..
We have been in service over 10 years repairing office carpets from emergency flooding, drying and cleaning commercial carpets and floors. Flood damage can be hazardous to you and your staff’s health. When treated quickly, damage is minimised and restoration costs reduced. 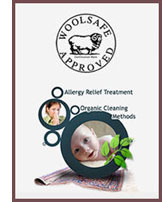 Cleaning your carpets with a micro-ban solution helps prevent mould and mildew. Our professional flood damage restoration methods utilise advanced air movers which propel large quantities of air along floors, carpets and walls in order to reduce drying time.